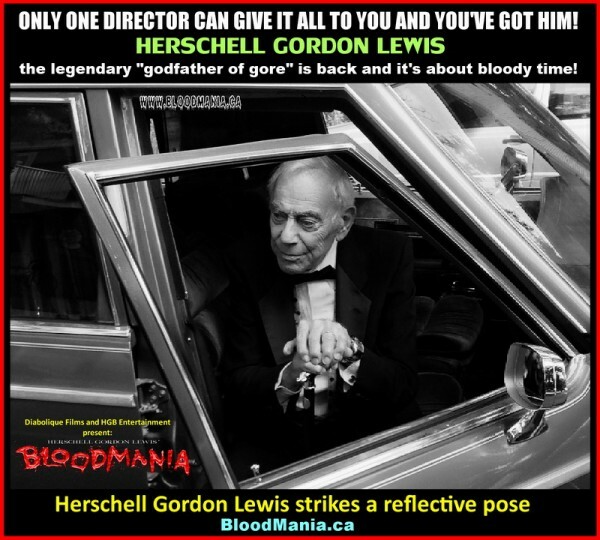 Legendary Director Herschell Gordon Lewis (The Godfather of Gore) http://www.imdb.com/name/nm0504496 returns in 2016 with BLOODMANIA! 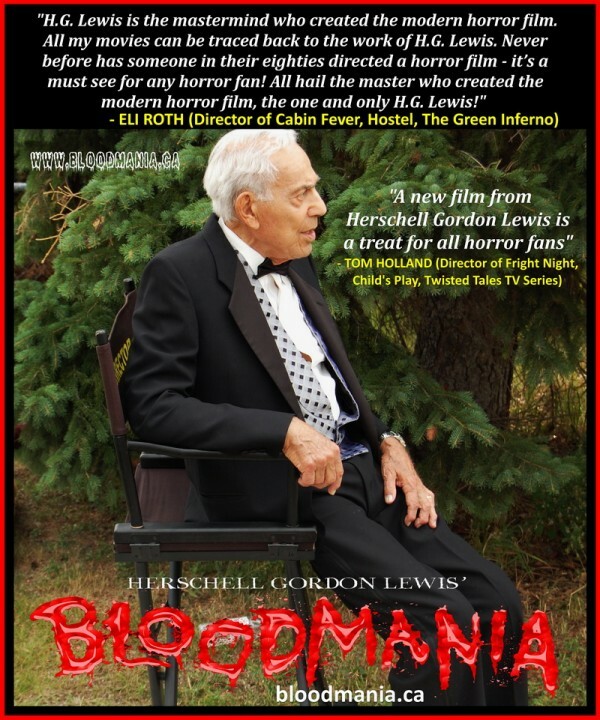 “A new film from Herschell Gordon Lewis is a treat for any horror fan”! “H.G. Lewis is the mastermind who created the modern horror film. All of my movies can be traced back to the work of H.G. Lewis. 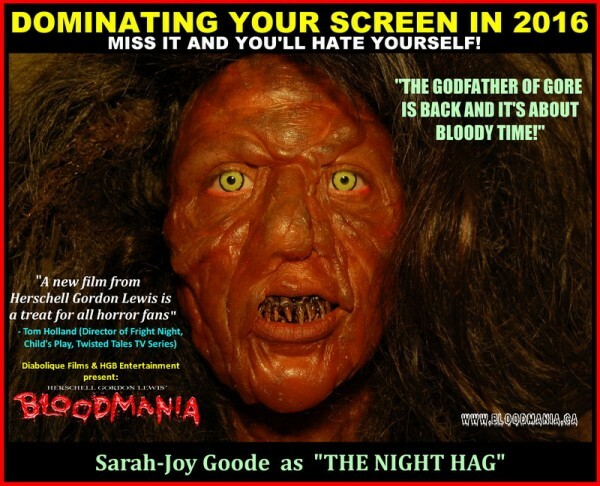 Never before has someone in their eighties directed a horror film – it’s a must see for any horror fan! All hail the master who created the modern horror film, the one and only H.G. Lewis”! 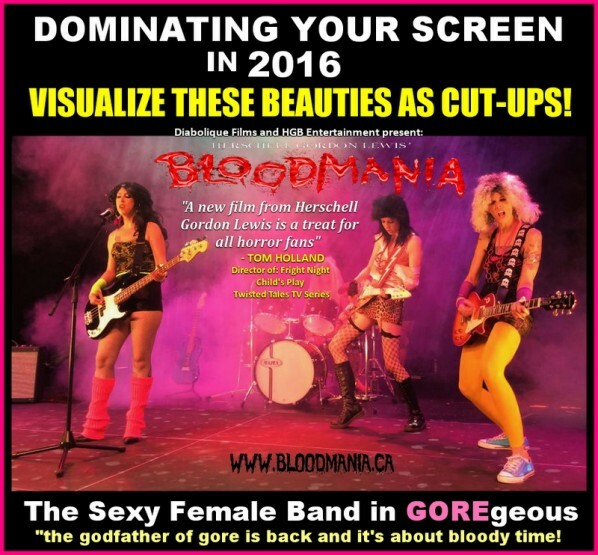 Get Ready All You BloodManiacs! 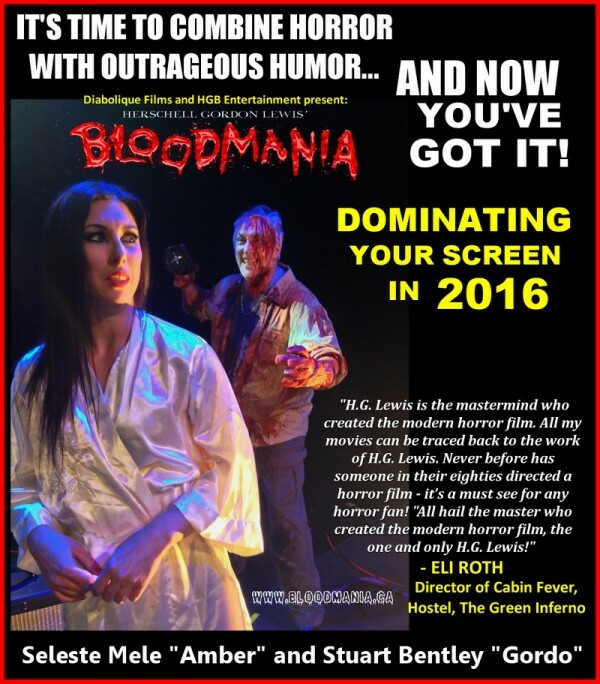 Dominating Your Theatre Screen In 2016. 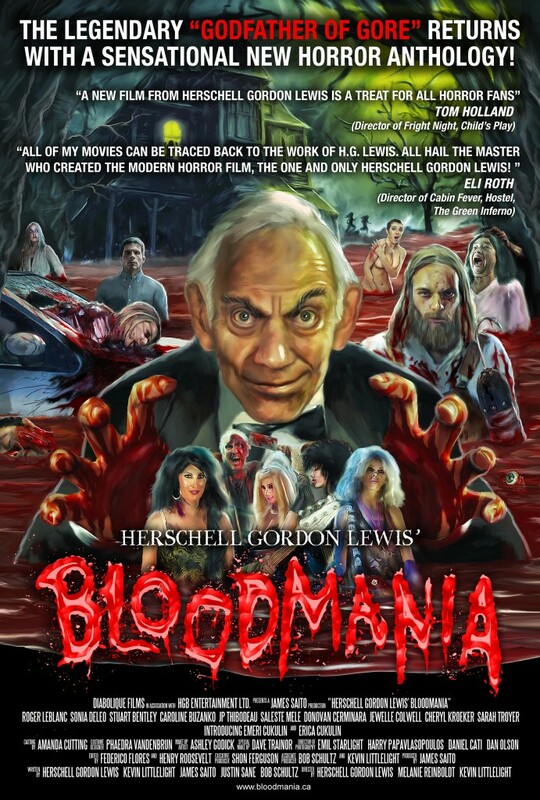 The Legendary Director Herschell Gordon Lewis aka “The Godfather Of Gore” returns with his sensational new Horror anthology “Bloodmania.” Four unique stories that combine horror and gore with outrageous humor that will satiate every horror fan’s appetite! Only one director can give it all to you and now you’ve got him. 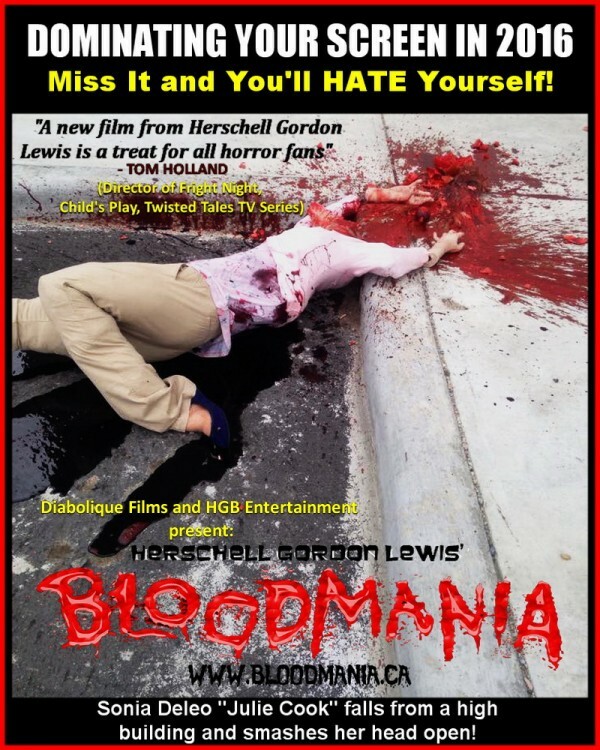 Mr. Lewis opens a whole new avenue in which the now-classic horror movie marries a 21st Century sense of humor! Miss it and you’ll really hate yourself.